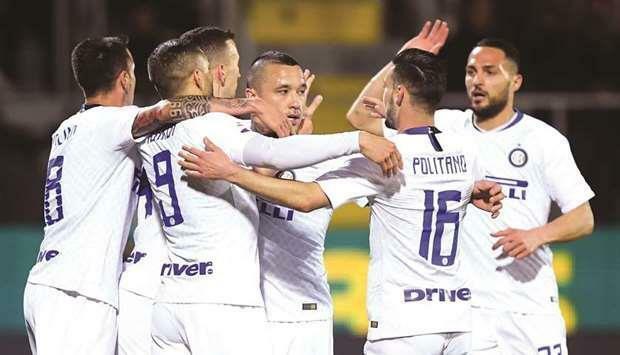 (MENAFN - Gulf Times) Inter Milan recorded a 3-1 win away at relegation battling Frosinone on Sunday to strengthen their grip on third place in Serie A. 'We saw that the moment we feel remotely safe or comfortable, we can run into a devastating setback, he said to Sky Sports Italia. 'It happens to everyone, but probably more to Inter. When you think it's all in hand, rather than finish it off, you get timid and soft. 'Frosinone had nothing to lose, so their only objective was to impress and get a great result in an important fixture. A defeat won't make much difference to them at this point.